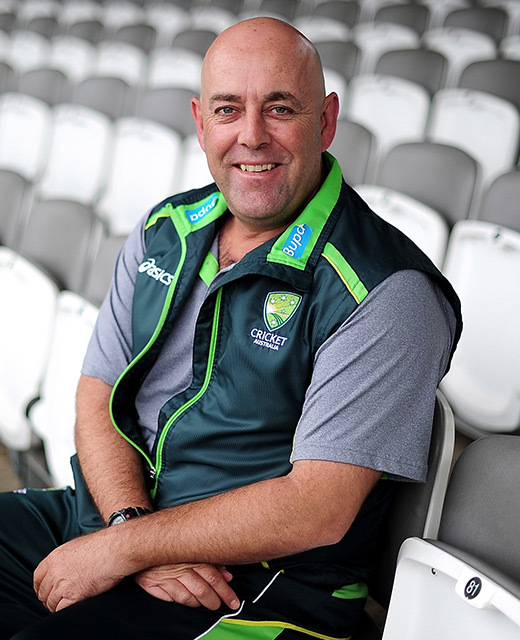 John Buchanan became the Australian cricket team coach in 1999 and in 2007 finished a very successful campaign as coach of Australia. John coached the team to a world record number of straight Test Matches (16 wins), consecutive One Day International victories (21) and set an unprecedented World Cup record with 2 World Cups and 24 games undefeated. 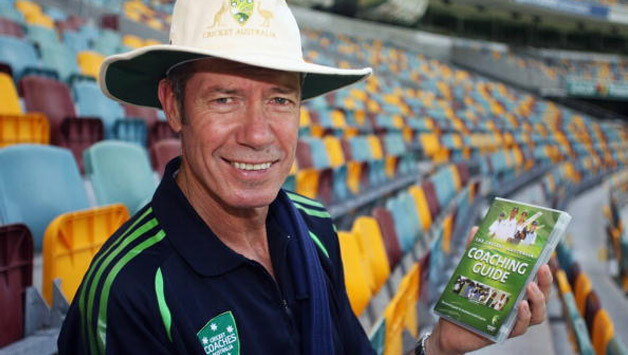 At the time of his retirement, the Australian Cricket Team were the World Cup Champions, Test Cricket Champions and One Day Champions, and also returned the Ashes to Australia in early 2007. This record of victories makes John the most successful coach in history with a winning record of over 75% since 1999. Entry via Gate 5a - Vulture Street, Woolloongabba. The event kicks off at 6:30pm, with dinner being served at 7pm. All Members are invited to attend our first dinner for the year! Whom would you like to be seated with? Join the Australian Cricket Society Queensland for our next dinner. Enjoy fantastic speakers, great company, dinner, trivia and a few drinks in an amazing setting at The GABBA. Dinners start at 6:30pm, with dinner being served at 7pm. Book your tickets before they all sell out! Join the Australian Cricket Society Queensland for our Dinner to be held on Wednesday 7th June 2017. Enjoy good company, dinner and a few drinks in an amazing setting at The GABBAMembers Dining Room - Gate 5a, Vulture Street, Woolloongabba. Join the Australian Cricket Society Queensland for our Dinner to be held on Wednesday 29th March 2017. AGM will commence after the completion of dinner. Please Note: only financial members will be able to vote at the AGM. "Women's Big Bash Season Wrap Up"
Submit this form to let us know you have booked. Join the Australian Cricket Society Queensland for our Christmas Dinner to be held on Wednesday 30th November 2016. Ben Cutting is a tall right-arm fast bowling All-rounder, he represented Australia at the 2006 U-19 Cricket World Cup in Sri Lanka. Cutting made his first-class cricket debut for the Queensland Bulls against Tasmania in the first Pura Cup game of the 2007/08 season. In 2009–10 Cutting was one of the competition's leading wicket takers, with 25 wickets from his first six matches. On 13 January 2013 Cutting made his ODI debut and on 26 January 2013 he made his T20 international debut. He currently plays for the Brisbane Heat in the Big Bash League and for the Sunrisers Hyderabad in the Indian Premier League. A school teacher during the day and cricketer by night, Kirby Short knows a thing or two about teaching people lessons. Whether it be on the cricket field or in the classroom, this classy batting all-rounder is quick to assert her authority. Shorty has been a mainstay in the Queensland Fire squad since 2005-06, playing 49 WT20 games, and was part of the victorious squad that won the 2014 title.Kirby comes from a fine sporting pedigree, with her mother representing Australia at softball and her grandfather Mick Harvey playing first class cricket for Victoria and Queensland before coming a first class umpire.Her granduncle is Neil Harvey who was part of the 1948 Australian 'Invincibles' team. Shorty is also recognised as one of the finest fielders in the country. Book your tickets quickly because this is one night that is sure to sell out fast! The Society is very excited to announce the speaker for our September dinner will be none other than QLD Bulls Coach and Australian International Test Player Mr Phil Jaques! Join the Australian Cricket Society Queensland for our Dinner to be held on Wednesday 28th September 2016. Enjoy good company, dinner and a few drinks in an amazing setting at The Queensland Cricketers Club - Vulture Street, Woolloongabba. Phil Jaques is a left-handed opening batsman who has played first-class cricket for New South Wales, Northamptonshire, Yorkshire and Worcestershire, as well as international cricket for Australia. In 1999 Jaques was awarded a cricketing scholarship by New South Wales, which enabled him to spend the English summer playing for Northern Cricket Club near Liverpool. A last minute call up to the NSW team on 15 March 2001 for a match against Queensland saw him rush from Sydney to Brisbane where he arrived in time to debut at the unfamiliar number 10 position with the score at 70/8, up against a Queensland attack on a seaming green-top, he top scored with 40. In 2005–06 Jaques was selected for the Australian squad for the 2nd Test against South Africa starting on Boxing Day, 2005 in Melbourne after regular opener Justin Langer pulled a hamstring in the previous match. In his second Test against Bangladesh in April 2006 after Langer was ruled out with concussion sustained in an earlier Test. Making his One-Day International debut for Australia against South Africa, Jaques made 94, falling six runs short of his maiden century. His innings broke a 23-year-old record of the highest score on debut for Australia in a One-Day International. In November 2006, Jaques scored successive centuries in three days against England, in the warm up to the 2006–07 Ashes series in Australia. In 2008 he was selected as Hayden's opening partner for the West Indies tour where he starred with a century in the final test at Bridgetown. On the subsequent tour to India he was dropped when Simon Katich was selected ahead of him. He returned home early to have surgery on long term back problems, and did not return to the Test team. Jaques won the 2005–06 Australian Domestic Cricketer of the Year, at the 2006 Allan Border Medal Ceremony. In February 2007, Jaques came within a few runs of beating Victor Trumper's Sydney Grade Cricket record score compiling 321 for Sutherland against North Sydney in less than 6 hours. He has scored 8 first-class double centuries. Jaques claimed the highest score by a player on One Day International debut for Australia with a 94 against South Africa in Melbourne 2005/06, only for that to be beaten by Phillip Hughes in 2013. Scored his maiden test century in his third test; the first test of the 2007/08 Australian summer against the very tactical Sri Lankans. Jaques scored 150 in the following test at Bellerive, Hobart. In 2015 Phil was appointed head Coach of the QLD Bulls in 2015. Join us and hear Queensland Cricket CEO Michael Kasprowicz discuss the most pressing opportunities and issues in cricket today. Plus there will be great food, wine and company, plus trivia and the launch of The Society's new brand and website. Don't miss out.